For my card, I used the super fun and winter-y Frozen Fellowship stamp set! I colored in the image with Zig Clean Color Real Brush Markers and then fussy cut it out around the edges! to add some highlights to the snowmen, I used a paint brush and some Deco Foil Transfer Gel! I then used the Silver Shattered Glass foil! love the sparkle! Here's how to win: Leave comments on the NND & Design Team blog posts using Therm O Web products all week (November 5-9) to enter. One winner will be randomly chosen from blog posts throughout the week so the more posts you leave comments on the better your chances are of winning! You have until Friday November 9th at midnight CST to comment. The winner will be announced on the NND blog post on Monday, November 12th. Wow the added foil on your cute snowmen really makes this card special! I love it! This card is so cute! :) Love how you colored the snowmen on the background. So cute! 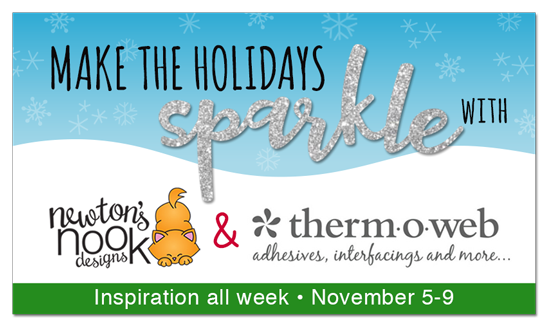 Love the way you colored the snowmen, and the sparkly greeting is so pretty! So cute with all of the snowmen. I like the highlights you added. Love the way you colored these snowmen. Super lovely. Thanks for sharing!!!! Awww!!! This is so cute!!! Adorable card!!! What fun snowmen!!! The foil looks fabulous! many into one group is fun. of coloring (no my forte). Such an adorable card! 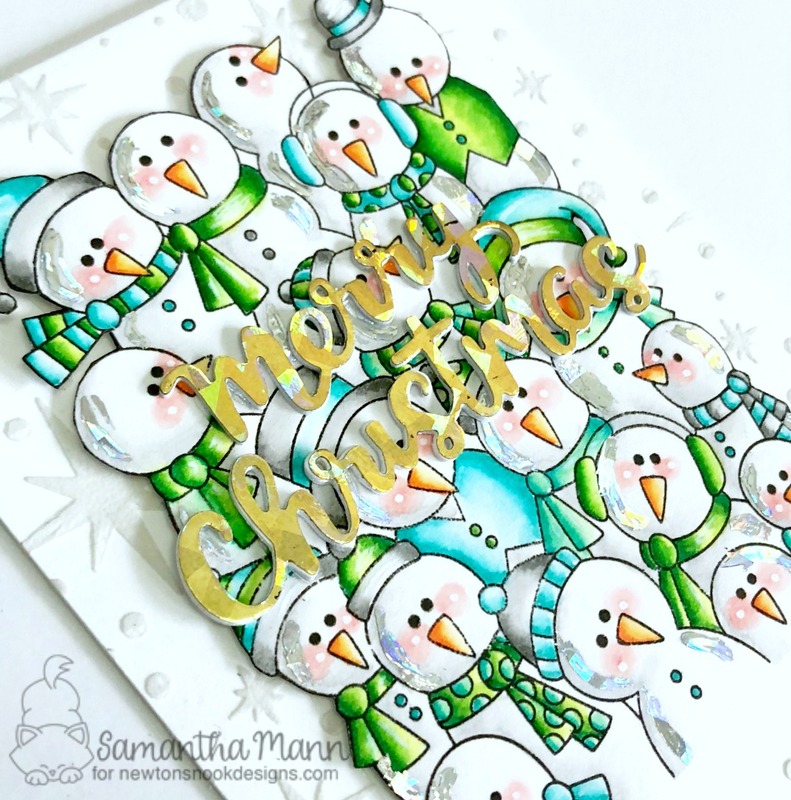 I love the foil highlights on the snowmen - fabulous! heart-shaped card for warm winter wishes!